Real Estate & Development — Hoff Barry, P.A. Real estate and development issues can be complex and confusing, but Hoff Barry attorneys will guide and advise you how to protect your interests and make sure you understand the details and risks.  Hoff Barry represents both private and governmental clients in real estate and development matters. Our firm routinely handles commercial and residential transactions, landlord-tenant law matters, and land use and zoning issues. We have extensive experience with condemnation and adverse possession cases, annexation issues, boundary disputes, and homeowners’ association law issues. In addition to assisting in the negotiation and planning of the structure of complex real estate transactions, we also provide analysis and advice for any real estate and development issue.